It is called "programming." It is the element missing from your friends' workouts. It is too bad. They could be saving a lot of time, energy, money and frustration if they'd consider it. Let me take a minute to brag on ya'll. Today we saw impressive improvement in strength across the board. All class times reported significant improvement. Personal records were set all over the place on heavy deads. Both the over-all male (455 - Brother of Beastmode) and female (255 - Buff) dead lift records fell today. Many many other PRs were reported. Some by 50 lbs! Others by more! The thing is, we have hardly done ANY heavy deads this year. A couple of times we have done heavy sets of 5. Once we did heavy 4's. 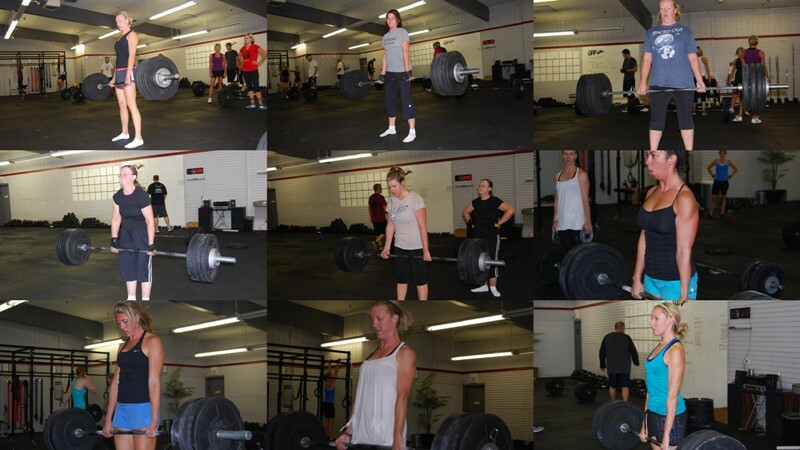 Even then, I can only find (less than) a half dozen times we have done heavy deads at all. The question then becomes, HOW is this possible? How is it that so many of you saw such improvement on so little specific training on this movement? Wouldn't you think that to improve your dead lift by over 50 lbs. and set a new PR you'd have to put some specific, constant and focused effort on dead lifting? Newest members of the 200lb club (the ones we caught ...). Starting from L to R from the top - Kim, Kathleen, Nikki, Judy, Abby, Nikki, Candice, Lisa & Malorie. Sorry, I simply couldn't figure out (with my extremely limited computer skills) how to make this expand.